RainXchange - Step #1 STEP #1 - With our easy-to-use, prepackaged RainXchange™ System Kits, you have the flexibility to choose the water storage size that suits your needs! RainXchange - Step #2 STEP #2 - Choose your type of water feature to add beautiful sights & sounds of running water while filtering the hidden underground water supply. Booster Pumps - Step #4 Add a booster pump to the RainXchange System to provide extra water pressure & flow from the underground RainXChange containment system. 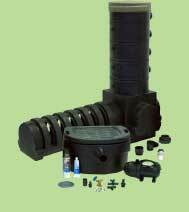 These pumps are used for irrigation and other water use applications. 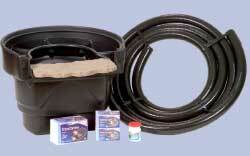 Booster Pump Fitting Kits - Step #5 Use these fitting kits to install your booster pump to the RainXchange System. 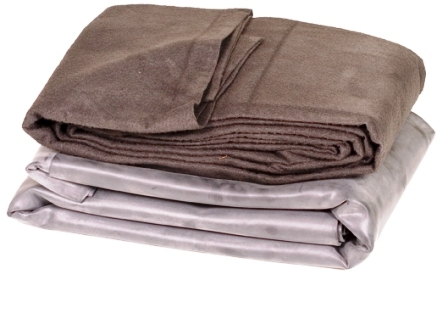 DownSpoutFilter Large surface able to handle up to a 750 sq.ft. roof and more than 50 gallons per minute flow rate. Rain Water Harvesting is conserving water right where it falls. By harvesting this water, you can benefit in following ways. It improves ground water quality & quantity both. There is no other technique available for the same. 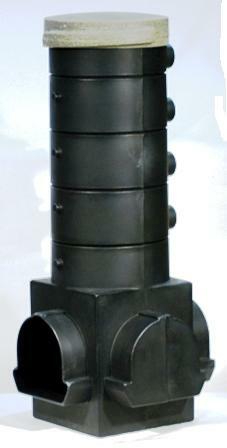 It prevents saline water intrusion in ground water from sea in coastal area. 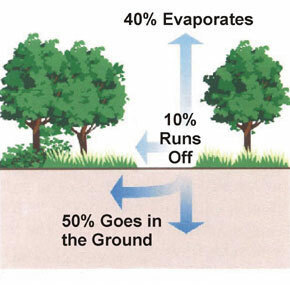 It increases ground water table & hence decreases pumping costs. Water logging in low lying area can be reduced up to certain extent. Hence, rain water harvesting, water recycling & water treatment are the cheapest & easiest techique to overcome water problems. Rainwater harvesting systems collect rainwater from the roof of your home or commercial building and stores it in one of our Aquascape RainXchange systems. 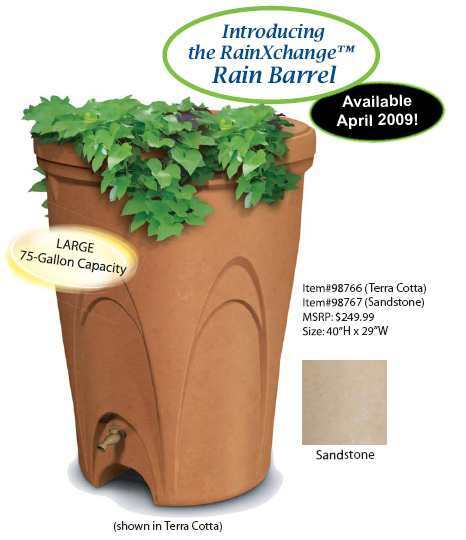 Aquascape's RainXchange systems can be outfitted with internal and/or external pumps and can be buried out of sight in your yard. You can filter the stored water to irrigate your gardens, or use for Fire Fighting. Each system can also be adapted to work with your current irrigation system providing free water even during time of water restrictions. The collected water can be used for any purpose. 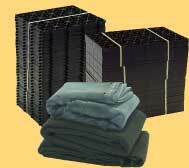 It can also solve your water run off problems & provide water for Fire Fighting in dry areas! Any of your non-potable water needs! Our water collection systems are delivered to your door step and can be installed in under 1 day. Don't Let Water Restrictions or Costs Keep You From Having A Green Lawn or Water Feature! 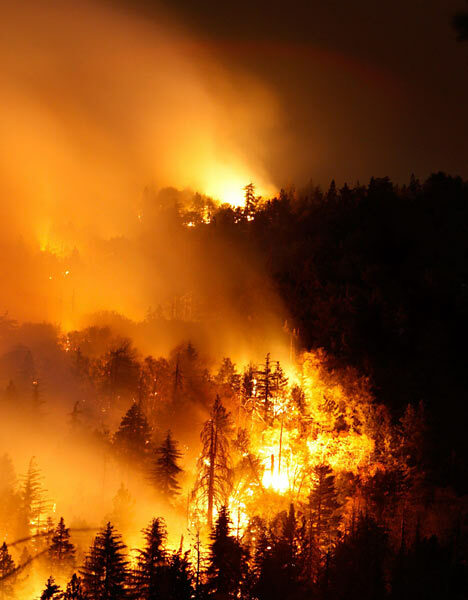 Protect against Forest Fires with adaquate water storage! Rain run off from your roof collects and drains through your gutters as usual. Instead of the rainwater draining into the ground or creating water runoff problems, the rainwater is rerouted into your water collection system. 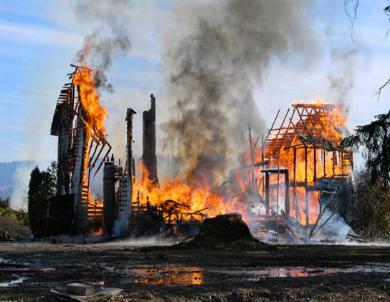 DO NOT LET FIRE CATCH YOU OFF GUARD & UNPREPARED! By installing a RainXchange water storage system & also installing sprinklers on your rooftops, as fire approches your house, use the stored water to irrigate your roof and help prevent the flying embers from igniting your roof. Excess water drains down the roof into your gutters which are plumbed back into your RainXchange storage providing extended protection time for your structure. The simple act of keeping your roof wet can help protect your family & possessions from catastrophic loss. This system allows you & your family to move to safety as it protects your homestead.